Bridget Wegener defines what it means to be teachable. 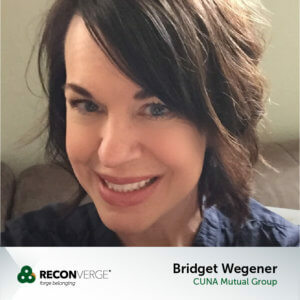 Bridget has, not only, improved her own skills through her time together with us at RECONVERGE:G2, she has also advanced in her career and improved her organization. I am proud to call Bridget a friend and to learn from her humble example shown so well in her co-chairing the 2017 symposium. You will hear more from Bridget in the countdown to RECONVERGE:G2 2018, but I asked her to share a bit of her past experiences at the meeting, especially for those of you who might be considering attending for the first time six months from now. RECONVERGE:G2 is the best place to learn, network, and have fun with other competitive intelligence professionals. I had my first G2 experience five years ago when I was a newbie in the competitive intelligence field. The conference helped teach me how to set up a competitive intelligence function and provided access to a network of professionals that I could tap into to ask questions. By working with the G2 “family” I was able to learn which resources, tools, and talent I needed to be successful. The event provides so much more than the most provocative thought leaders pushing the intelligence field forward, it also provides a connection with people in similar roles and circumstances. As co-chair of the 2018 event, it will not disappoint! 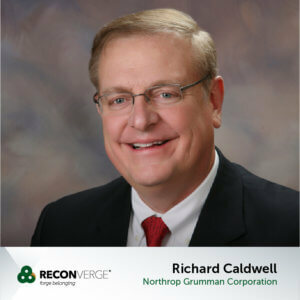 Richard Caldwell is a more recent addition to the G2 family (as Bridget calls it so appropriately), but as an intelligence leader in the high tech sector, Rich sees the impact of disruption every single day, up close and personal. And he admits that it can test his organization’s values. I wish more of us had the courage to admit – and confront – what Rich sees in his daily work: that none of us are as smart of all of us. We are thrilled to have him as co-chair in 2018 and 2019 to help our group wrestle with some of the deepest and most profound questions facing us today. I attended my first RECONVERGE:G2 leadership conference in 2017 and what I found intriguing is that it gives us opportunities to consider issues that no one else is talking about and which impact us all. The 2018 theme goes to the heart of the matter: values, leadership and humility. We all work hard honing our CI skill sets, but how often do we address the cultural issues that shape our environment, our products and services, and our organizations? Now more than ever society is presenting situations that challenge established values systems. The answer lies in reaching down deep into own humility and ask these hard questions. I work in a technology company and have personally experienced how disruption can easily test well-established company values. One question I am looking for RECONVERGE:G2 to address is how we can deal with disruption and overcome our own biases, while still keeping our core values intact? That’s a leadership challenge. And that’s what RECONVERGE:G2 is all about to me. Tomorrow, we’ll start to explore the ways our values systems are under assault, beginning with teachability and leadership.